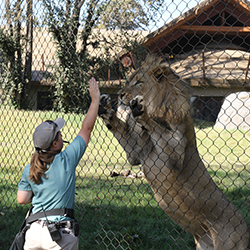 The Fresno Chaffee Zoo’s enrichment committee is committed to integrating enrichment methods and practices into the daily care of the animals to enhance their overall welfare, provide professional development to foster excellent animal care, and to provide our guests a better understanding of animal behavior. 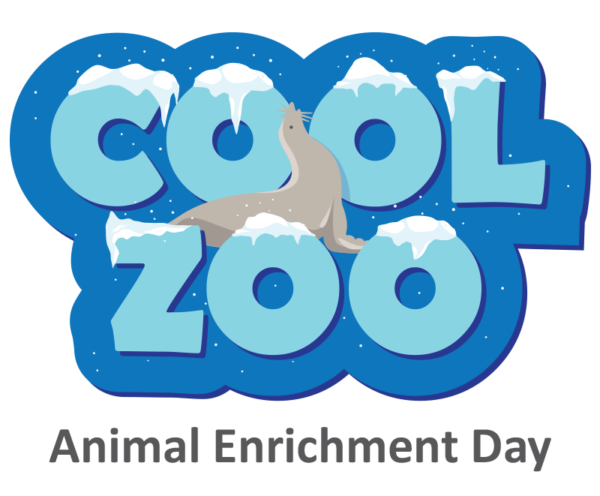 If you have had the pleasure of visiting Fresno Chaffee Zoo, you might have seen various animal enrichment activities. 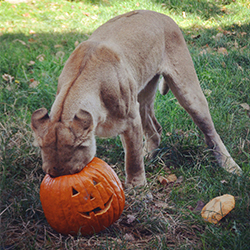 Not only is it a treat for to watch the animals enjoying specially created items, but the animals benefit as well! 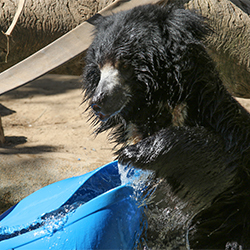 Enrichment is a term that describes various activities that zookeepers provide to the animals with the intention of promoting their natural behaviors, in order to enhance overall well-being. 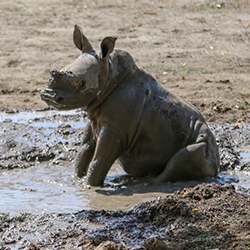 Natural behaviors include hunting, foraging, climbing, swinging, digging, and playing! Allowing animals to display their natural behaviors promotes physical and mental health, allows the animals to make choices, and provides them with control over their environment. The result is an overall healthier animal. Animal enrichment comes in many forms. 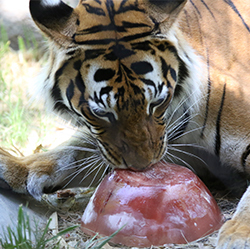 Zookeepers use enrichment from six different categories on a daily basis to stimulate all of the animals’ senses and encourage a wide range of natural behaviors. 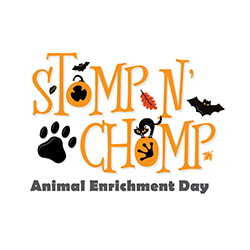 To learn more about the six different categories of enrichment, scroll down on this page. As you may expect, some enrichment items don’t last very long because our animals can be destructive when using their favorite items! So, we are always in need of more enrichment items! If you’d like to help out, click here. 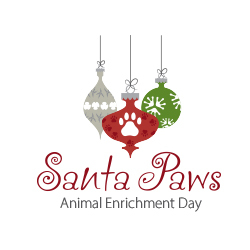 There are 8 wish lists: Mammals Department, Animal Clinic, Bird Department, Education/Valley Farm Department, Carnivore Department, Hoofstock & Elephant Departments, Reptile Department and Sea Lion Cove Department. Purchase what you’d like to donate and next time you visit, it could be YOUR toy the animals are enjoying! Animals rely on their five senses; vision, hearing, touch, taste, and smell, to explore their environment. Sensory enrichment encourages animals to investigate their habitat, and stimulates natural behaviors such as scent marking. Searching for food is an animal’s main occupation in their natural habitat. 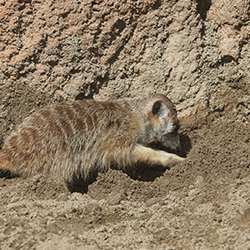 Zookeepers encourage animals to search or hunt for their diet by presenting food to an animal in different ways, such as hidden, scattered throughout the habitat, or buried. Species of all ages can enjoy the physical and mental benefits from the act of playing. These are enrichment items that can be manipulated in some way via hands, mouth, legs, horns or head simply for investigation and exploration. Zookeepers want to provide the most interactive homes for the species in their care by changing their habitats on a regular basis. This can be done by providing features like wallows, different substrates, nesting areas, and climbing and perching opportunities, according to the species specific needs of the animals. By using a variety of task-oriented puzzle feeders such as balls, various feeding toys, cardboard boxes or tubes, animals must think about how to retrieve the food hidden inside. This keeps their minds active and natural behaviors are encouraged by requiring the animals to investigate, manipulate, and work for their food. Animals love to learn new things just like people do. Positive reinforcement training sessions allows animals to engage in the challenge of learning something new and participate in their care.